The love affair between barbecue, or BBQ, and America continues to burn hotter and stronger. You no longer have to go far and wide to get a taste of your favorite grilled meats, simply because you can now get world class BBQ in almost all parts of the country. From self-taught BBQ newbies to celebrity chefs, each one has mastered this arcane art of grilling to near perfection. No two individuals will agree that BBQ is just one way of grilling meat, but the most common perception is the way it is done in the southern states of America where the meat is slow cooked indirectly for a considerably long time with the burning fire of wood, preferably hickory. The usual cooking temperature is about 225°F for four to eight hours for baby back ribs and 12 to 18 hours for brisket. 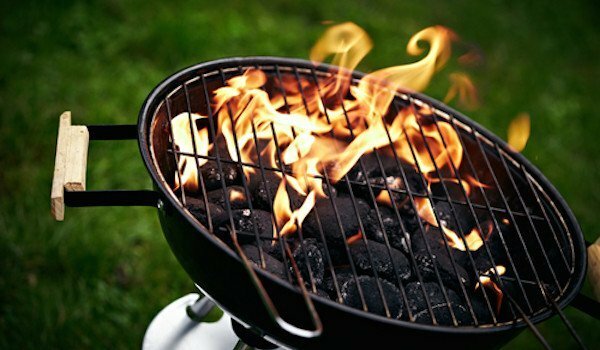 BBQ aficionados even have different opinions as to what meats should be proper for barbecuing. Beef brisket is preferred in Texas while in North and South Carolina, Alabama, Tennessee, and Arkansas, only the shoulders and ribs of the pig are worthy of being considered BBQ. And in Kentucky, BBQ remains exclusively lamb and mutton with a vinegar and Worcestershire BBQ sauce. BBQ has become so popular that new joints have risen, albeit the majority of these just don’t quite make the cut, so to speak. But that’s not surprising because BBQ is actually part science and part art and it is much more difficult than it actually looks. Sadly, most people, even those who profess to be BBQ experts, cannot simply execute the necessary technique to make great BBQ. There are two restaurants, however, that live up to the claim of superbly-done BBQ. On this review’s list are Smokey Bones Bar & Fire Grill and Shane’s Rib Shack and while they haven’t made USAToday’s Great American Bites just yet, these BBQ joints offer grilled meats that are flavorful and succulent, two simple factors that any BBQ should have. Smokey Bones, according to its official website, is both a fire grill and a bar because not only do they offer BBQ that’s hickory-smoked and hand-rubbed with “secret” spices, they also have beers that are American-crafted: Goose Island 312, Redhook Long Hammer, Samuel Adams Boston Lager, and Sierra Nevada Pale Ale, among others, alongside Coors (light), Budweiser, and Miller (light). Headquartered in Orlando, Flordia, Smokey Bones has a fine selection of premium-grade imported beers such as Guinness, Corona (extra and light), Heineken (and Heineken light), Stella Artois, Amstel (light), Dos Equis Lager, and Newcastle Brown Ale. They also have “hard cider” like Smith & Forge and Angry Orchard. White Zinfandel (Sutter Home in melon and strawberry). Riesling (Chateau Ste. Michelle in peach, citrus, and orange blossom). Moscato (12 Hands in orange peach, honeydew, and orange peel). Pinot Grigio (Ecco Domani in citrus, peach, and pear). Chardonnay in three variants (Dark Horse in spiced vanilla, tropical fruits, and pineapple; Kendall-Jackson Vinter’s Reserve in oak, vanilla, and ripe fruits; and Michael David in butter, vanilla, honey, and ripe tropical fruits). Smokey Bones doesn’t “just” grill your meat, they let you choose and flavor it first. Your meat choices include Choice Sirloin, Choice Petite Sirloin, Hand Selected Rib-eye, and Pork Tenderloin. Flavor your chosen meat with Simply Salt and Pepper, Chipotle Soy Drizzle, Garlic Butter Glaze, Blackened with Bleu Cheese and Bacon, Steakhouse Butter, Mushroom Red Wine, and Teriyaki Glaze. Burgers, soups, pasta, chicken, sandwiches, seafood, and desserts are also available at Smokey Bones. In fact, the menu is quite extensive and includes Fish and Chips made of Alaska Cod in Samuel Adams Boston Lager batter, Tomato-Basil Cavatappi pasta with Asiago cheese, and Rock Cornish Hen brined with and smoked to perfection in Dos Equis Beer. The fast-casual Shane’s Rib Shack is another BBQ joint that deserves more mention because of its mouth-watering Original BBQ sauce, an exhilarating blend of tangy vinegar, spices, mustard, and sweet tomato. Shane’s also has other specialty sauces like the Honey BBQ Sauce, Sizzilin’ Hot BBQ, Carolina Mustard BBQ, and the Spicy BBQ that customers can buy to take home. If you decide to purchase Shane’s franchise, however, you must sign an “End User Sauce Agreement,” that prohibits any and all modifications, translations, adaptations, and creations of “derivative tasty items” by the franchisee of its Original BBQ Sauce. Nor can the franchise holder decompile, attempt, engineer or disassemble the source of the Original BBQ Sauce. Shack Potato with BBQ Pork. Their new Shack Wraps have grilled or fried chicken, cheese, pickles, and lettuce and their Gluten-Free Menu has Plates (Chopped BBQ Pork, Smoked ½ Chicken, Baby Back Ribs, Chopped BBQ Chicken, and Beef Brisket), Salads, and Sides (Baked Beans, Side Salad, Cole Slaw, and Green Beans). Shane’s Full Platter, introduced in 2007, remains a favorite of football watchers. Smokey’s Bones Fire and Grill and Shane’s Rib Shack may not be your most popular BBQ restaurants, but that doesn’t mean you shouldn’t try them out if you still haven’t. Smokey Bones offers an online ordering service, membership to its Bones Club, and gift cards. Shane’s, on the other, offers catering services, gift cards, and an online store where you can get t-shirts, six-pack Koozies, baseball caps, wristbands, beanies, Mason jars (as drinking glasses), key chains, and Frisbees. And aside from its Original BBQ Sauce, six other sauces that you won’t regret trying: Cayenne Pepper, Carolina Mustard, Honey BBQ, Sizzlin’ Hot BBQ, and Spicy BBQ. Check out their official websites for more information on ordering, menus (including gluten-free from Shane’s), catering, party packs, locations, etc. You can also follow both of these BBQ joints on Facebook, Twitter, YouTube (Shane’s), and Instagram (Smokey Bones).